The Fate of the Furious is an Upcoming Hollywood Film in 2017, It is Action, Crime, Thriller Film and Vin Diesel, Dwayne Johnson in lead roles. This film is Directed by F. Gary Gray and Produced by Neal H. Moritz & Vin Diesel. It is made under the banner of Universal Pictures. 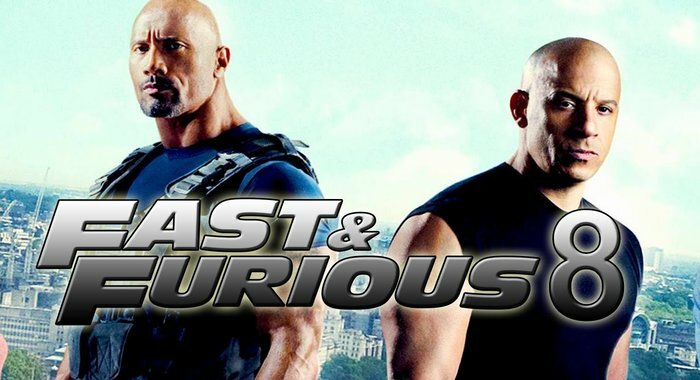 The Fate of the Furious is scheduled to release on 14 April 2017. 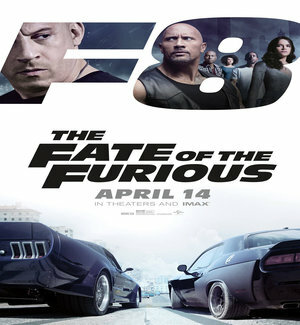 Diesel, Russell, & Michelle Rodriguez were the 1st to confirm their involvement in the movie and Tyrese Gibson, Chris Bridges both confirmed their return soon after, with Lucas Black having already signed on to the reprise his role from The Fast and the Furious: Tokyo Drift as Sean Boswell for Fast & Furious 7, and two more installments in September 2013.In May 2015 Dwayne Johnson confirmed his involvement in the movie additionally hinting at possible spin off film involving his character, Luke Hobbs. Jason Statham also confirmed his return. Keeping with the franchise's penchant for filming in "exotic" locations, such as Dubai & Rio de Janeiro, in January 2016 it was announced that Universal was seeking approval from the US and Cuban government to shoot the movie in Cuba. Principal photography began on 14 March, 2016 in Mývatn, Iceland where strong winds sent plastic iceberg prop flying into a paddock and striking two horses. One was wounded and the other mortally injured it was later euthanized. In late April filming began in Cuba capital city Havana. 'Fast and Furious' series films are also very popular in India. The recently released 'Fast and Furious 7' was also a hit at the box office. It crossed the 100-crore mark and gave a tough fight to many Bollywood Films.